I provide this service remotely using via email + photos + video, so your participation is key to how I 'see' your space in the materials you send to me. The process can be completed within approximately five days of receiving payment and all materials from you (unless during a holiday period or I am otherwise scheduled; time frame and payment method will be discussed with you). After I complete this review, I will send you a document and an annotated sketch of your floor plan with notes on areas that need action steps to improve. My goal is to address the things you see as 'problems' AND to show you things that you may not recognize as needing attention, so that you can observe your selling space through my objective view. Once you recognize the challenges, you may have your own solutions in mind, which is great! You may also decide that you want to take the next step and hire me to assist you with the specifics of the space. 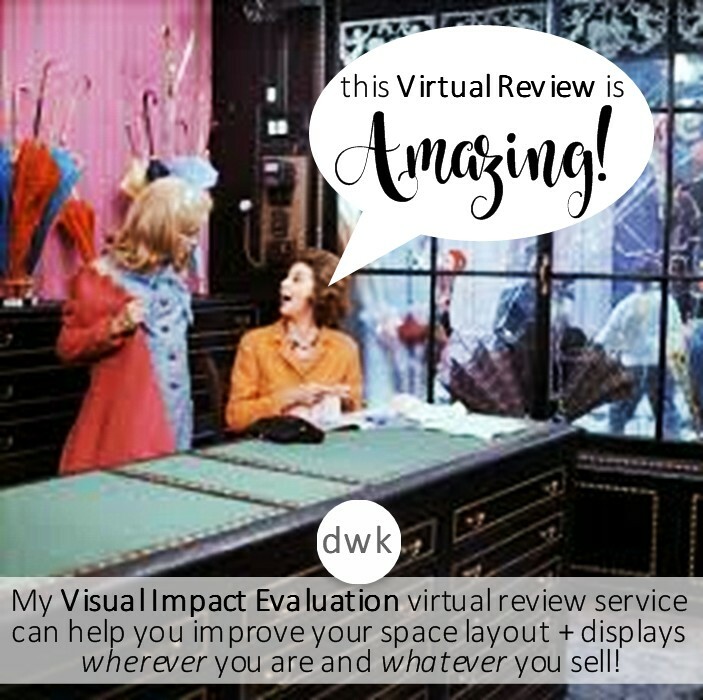 This evaluation of your current business visual impact status and review of your challenges is the first step in working with me. Previously, I offered this as 'phase one' of both my visual merchandising and my visual concept design (store/space planning) services. By separating this to be a stand-alone service, you gain the opportunity to work with me on a short-term project (duration of @ one week), so that you may see how I will approach the visual design process in regard to your specific business. I will send you my recommendations for the next step, which would be hiring me to assist you with space design and/or merchandise display styling services, depending on the areas most in need of attention. Should you choose to continue working with me and hire me to provide one of those services, the fee for the review will be deducted from the fees for the secondary service. Email me at debi.wardkennedy@gmail.com to begin! I design and arrange products and merchandise in retail, wholesale, and creative spaces for maximum visual impact and functionality. Displays stem from original ideas to educate & inspire customers, enhance merchandise, and express the brand for brick and mortar stores, trade show booths, booths at antique/artisan shows, and artist studios/classrooms. I review your store and merchandise (in person or via email + photos) and then along with you identify and define new display opportunities. I design and provide solutions and ideas for successful displays and can create planograms for your staff to follow OR style your displays myself. Fees for this service are calculated on an hourly rate, plus travel expenses if applicable. AMC Associates wholesale . PMA Associates wholesale . Sharyn Sowell Art Studio . Rita Reade Mammabelarte Show Booth . Retreat Design Show Booths . The Vintage Marketplace Show . I design and arrange retail, wholesale, and creative spaces for maximum visual impact and functionality. My goal is always to do so with cost-efficiency and originality as I assist clients in making smart choices to reflect their brand ethos. 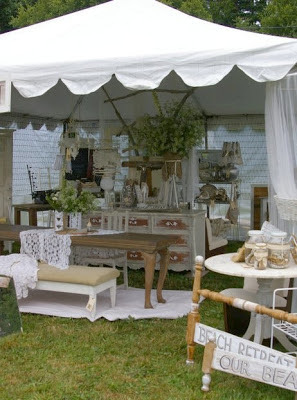 Many of my re-design projects have involved economical 'use what you have' design services, for brick and mortar stores, trade show booths, booths at antique/artisan shows, and artist studios/classrooms. * your logo, brand visuals, and brand color palette - "Telling YOUR Story"
I review your space (in person or via email + photos) and along with you identify areas for improvement. I design and provide solutions and ideas for successful changes AND the cost-effective tools to accomplish those changes. Merchandise display planning / styling also available. I custom-tailor content to your audience demographic [local yarn shops or northwest antique dealers, for example], including relevant resources and information geared directly to your attendee's needs. 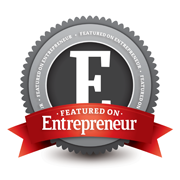 My goal is to provide actionable ideas that they can take home and use immediately. My presentations utilize photos, on-stage product displays, and multi-page handouts filled with notes, resources, and ideas. Creating on-stage displays is my thing! This practice enables me to move items as I speak, showing attendees the 'how' and 'why' of the science of retail merchandising & display. There aren't many speakers who go to the trouble to do this... I consider it the best way to communicate visually with a room filled with people who want to learn to communicate visually! I provide a Q and A session following my presentation, allowing your attendees to ask questions specific to their own store needs. This can be done with ad-hoc questions taken from the audience, or pre-selected queries with photos sent in prior to the event. Fees for this service are a flat rate dependent upon length of presentation and other factors, plus travel expenses. Since 2000, I have been a contributing writer to over 25 publications in the retail industry and DIY home decor lifestyle market. My articles, interviews, and regular columns have been published both in print and online. My design blog has been online since 2001, and is considered a top resource for creative retail visual merchandising content. Fees for this service are based on word count and deadline. For links to my published work online, click here. 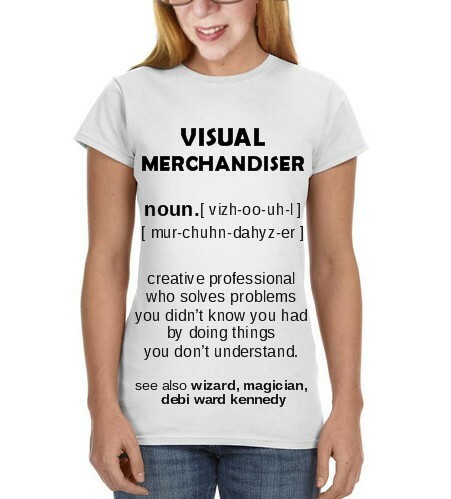 visual merchandiser + stylist . store designer . writer + speaker . creative professional for 40+ years - including visuals for the Walt Disney Company . Click image to learn how I can help you! 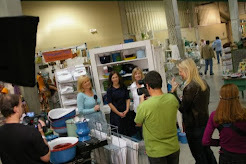 click image for links to Deb's 6 visual merchandising videos hosted on YouTube! 'Breakfast at Tiffanys': Tiffany & Co. Copyright 1991-2019 DWK; All Rights Reserved. Use of ANY Content by Permission Only - Email Debi.WardKennedy@Gmail.com for permission. "The thing is, retail design is driven by psychology. that we influence customers to enter, stay, browse, buy - and return. that enables retailers to stay on top of their game and at the forefront of their customer's minds. What you sell is important - but even the very best product won't sell at full price if it is presented in torn boxes on dirty shelves in a store that is too crowded to turn around in. and utilizing the principles that have been proven to work WILL help you succeed!" All content on this site, including text, images, logos, and trade dress, is property of and copyright DWK 2000 - 2019; All Rights Reserved. Permission required for use of content in any way - EXCEPTION: Pinning and sharing of images allowed with linkback to this source and credited to me. All other use of content including complete reproduction of post is prohibited without authorization. Email debi.wardkennedy@gmail.com for permission. Images by other photographers/sources shown here will be credited and linked to them. all content, photos, verbiage, logos, et al property of + copyright Debi Ward Kennedy 2000-2019 .. Simple theme. Powered by Blogger.